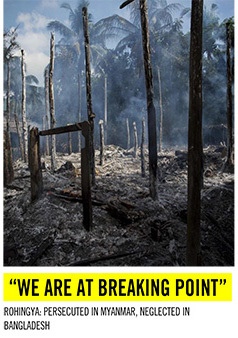 Myanmar on Tuesday, November 1, 2017, comes up with a hilarious claim that Bangladesh is delaying the repatriation process of over 800,000 Rohingyas for international donations.This Reuters photo taken on September 27, 2017, shows an aerial view of a burned Rohingya village near Maungdaw, north of Rakhine state, Myanmar. Myanmar has come up with a hilarious claim that Bangladesh is delaying the repatriation process of over 800,000 Rohingyas for international donations. Myanmar was ready to begin the repatriation process any time, based along the lines of an agreement that covered returns of Rohingya to Myanmar in the early 1990s, Reuters reports today quoting Zaw Htay, a spokesman for Myanmar’s de facto leader, Aung San Suu Kyi. 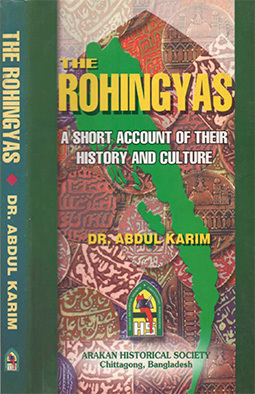 Claiming Bangladesh had yet to accept those terms, Zaw Htay linked the delay by Bangladesh to the money raised so far by the international community to help build gigantic refugee camps for the Rohingyas.“Currently they (Bangladesh) have got $400 million. Over their receipt of this amount, we are now afraid of delaying the programme of deporting the refugees,” he said in comments carried in a front-page article in the state-run Global New Light of Myanmar newspaper on Wednesday. “We are ready to start, but the other side did not accept yet, and the process was delayed. This is the number one fact,” Zaw Htay, director-general of the Ministry of the State Counsellor’s Office, told journalists on Tuesday. READ more: Myanmar army doing no wrong! “They have got international subsidies. We are now afraid they would have another consideration as to repatriation,” Reuters reports quoting Htay. Over 607,000 Rohingya have fled to Bangladesh since the Myanmar army began its “clearance operations” in response to the coordinated killings of Myanmar security personnel by the Arakan Rohingya Salvation Army on August 25 this year. An estimated 3,000 Rohingya Muslims were killed, while more than 284 Rohingya villages were burned down in the army operation. Thousands of Rohingyas continue to cross the border to Bangladesh. Myanmar also violated Bangladesh’s airspace and laid landmines along the border apparently to prevent return of the Rohingya, who are denied citizenship and other basic rights by Myanmar despite having their roots there for generations. However, Myanmar, with support from the state media, is trying to confuse the international community and some neighbouring countries as it terms the violence as “Islamist terrorism” or “extremist Bengali terrorism”. For decades, the Rohingya have been persecuted in Myanmar, made stateless and forced to leave the country. Though the operation in late August began against the militants, civilians, including women and children, faced cruel persecution. A memorandum of understanding on border liaison posts was signed with Bangladesh Home Minister Asaduzzaman Khan following talks in the Myanmar capital, Naypyitaw, last week, but there was no progress on reviving the old agreement. 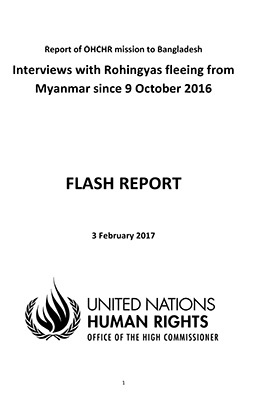 The Bangladesh government issued a statement on Thursday saying that Myanmar had not agreed to 10 points put forward by its minister at last week’s talks, including the full implementation of the recommendations of an Advisory Commission on Rakhine State, chaired by former UN Secretary General Kofi Annan, for a sustainable return of Rohingya. Khan told Bangladesh media on Friday that the two sides were unable to form a joint working group but said it should be set up by the time Foreign Minister Abul Hassan Mahmood Ali goes to Myanmar for talks on November 30. The Myanmar government has said it would accept the Rohingya once it was established that they had lived in Myanmar. Zaw Htay said Myanmar was awaiting a list of Rohingya refugees from the Bangladesh side.